Greater Love: Love Like Jesus. Love is the new Shibboleth. Greater Love: Love Like Jesus. Greater Love Leads to Action. Greater Love: Love Like Jesus. Greater Love Serves. 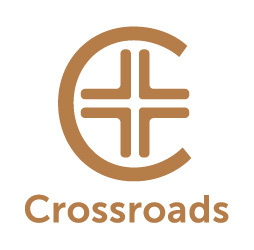 Crossroads Bible Church is located about 30 minutes outside of Dallas in Double Oak, Texas. We believe in the simple idea of Following Jesus and Making Disciples. We would love to have you join us at one of our Sunday morning services at 9:15 or 10:45 a.m. For more information, visit www.crossroadsbible.org. Greater Love: Love Looks at the Bigger Picture. The Lord’s Prayer: Pray Like Jesus. Kingdom, Power and Glory, Amen. The Lord’s Prayer: Lead Us Not Into Temptation - Matthew 6:13. The Lord’s Prayer: Pray Like Jesus. Our Daily Bread.